If you’ve got a lot of content, pack it into a booklet. Take advantage of our unbeatable range of Booklets. 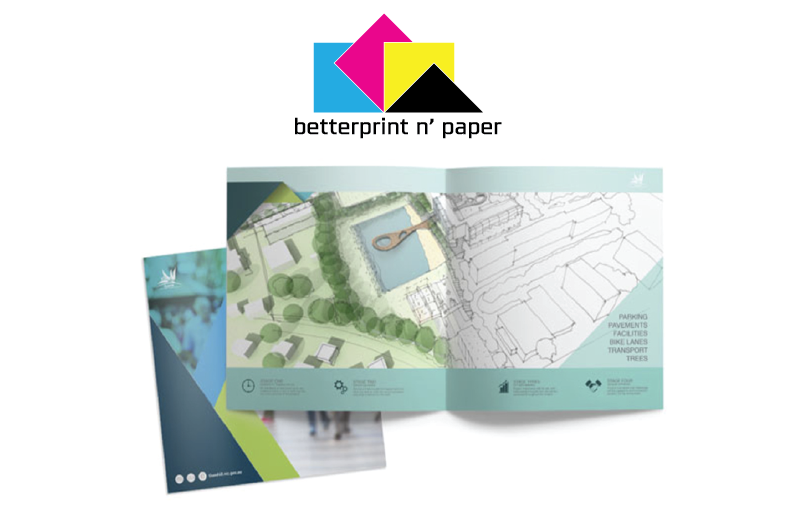 When you want to customise a booklet, Betterrint can cater for an extended range of variations, including folded pages, perforations for tearaways or pop up pages. Saddle stitching: your booklet is folded and the pages stapled together at the spine. Perfect binding: for most hard and soft cover commercial produced books, with a flat edged spine. Wire binding: holes are punched along the side of your booklet, and wire is threaded through. Large documents are suitable for wire binding, examples are printing manuals, policy documentation and instruction guides. Custom binding: Talk to us about what you have in mind. The stocks displayed below list the stocks for self cover booklets or booklet pages. You can also choose to print a booklet with a thicker stock for the cover, simply select “Booklet plus cover” when you order online. You can select from any of our artboards to add a cover that is right for your booklet.